As the mercury has well and truly risen, we are constantly looking for new and inventive ways to keep our pet’s cool and entertained. We have come up with some cool icy treats for your pet. A Kong toy is a perfect way to keep your pet entertained, with a special twist they can also double as an icy toy. Cook up the low sodium broth and mix in some special treats for your pet. Tape off the end of a Kong toy and fill they toy up with the broth mixture, then freeze. Once frozen, your pet can lick it as it melts, this will keep them busy and refreshed on a toasty summer day. Any vegetable that is safe for pets can be mashed up and frozen, but sweet potato is always a favourite! Just roast and mash the sweet potato up, then scoop it into ice cube containers and freeze. Voila! You have tasty sweet potato pops. Following the packet instructions, make the broth mixture up. Add the broth to the ice cube or cupcake tray and simply place the treats inside the holes. Place the tray in the freezer until solid. There you have it – a quick and easy chilly treat. As well as providing chilly treats and entertainment, always make sure your pet has plenty of fresh, cool water and shade during the summer months. Alterations to the above treats are easy to make, just ensure that the ingredients are pet safe and of high nutritional value. 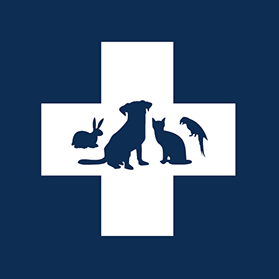 If you are ever unsure of your pet’s dietary requirements, please speak to your veterinarian.